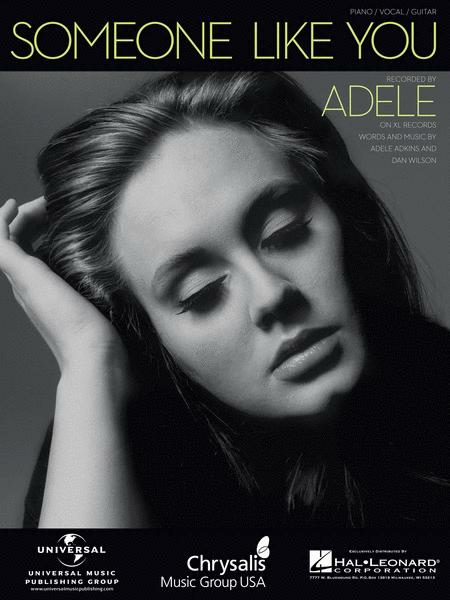 By Adele. Piano Vocal. Pop. Octavo. 12 pages. Published by Hal Leonard (HL.354227). ISBN 1495087808. 9x12 inches. Adele. September 01, 2012 "This Deserves The Highest Of Fives"
This simple but amazing piece made me realize that im good in piano but also a good singer! Well done. I love this song. I've been away from the piano for awhile and this is my welcome song. 27 of 65 people found this review helpful. I was so excited to get this and found that it was pretty easy to master. I would say it's early intermediate. The song is just so beautiful that I really didn't care how easy/difficult it would be. 41 of 75 people found this review helpful. Great for a singer, the piano part needs some adaptation for a piano solo. Many girls love this song. It has been a great hit in my piano studio. 49 of 85 people found this review helpful. 49 of 101 people found this review helpful.